This two-story facility was designed to elevate student life on campus with collective academic programs and social gathering areas. Our unique design includes a 42,000-square-foot landscape segment at the core of campus. 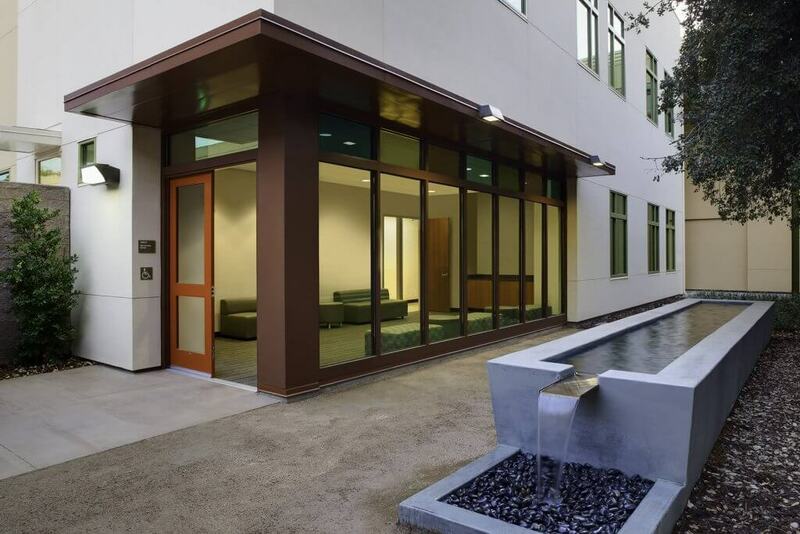 Building components include a structural steel frame, concrete slabs on metal decks, a terra cotta cladding system, elastomeric membrane roofing, aluminum sunshades, and smooth plaster system. 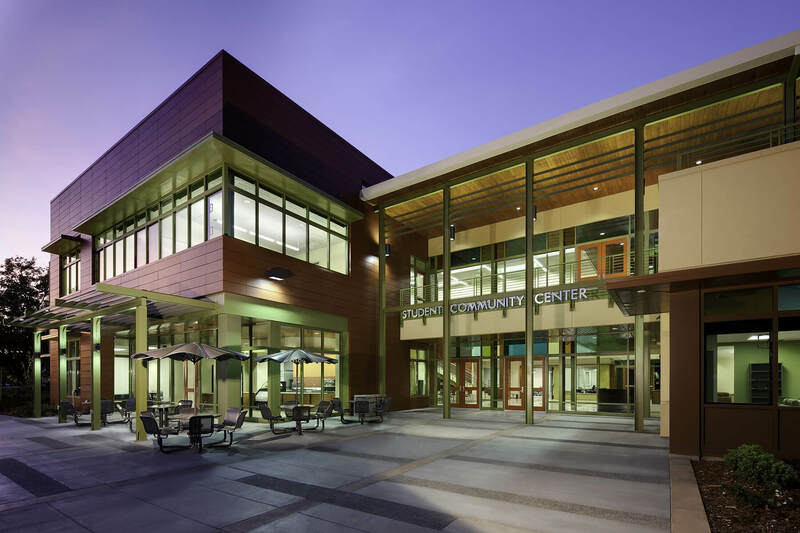 This LEED Platinum project included intermediate milestone construction schedules, early mobilization, close scheduling of trades, and extensive coordination with owner vendors. 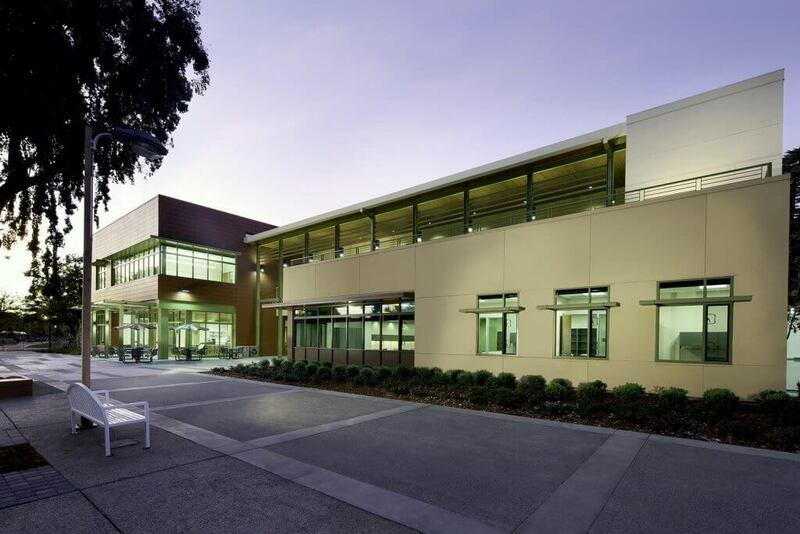 Complex interrelated building systems include security monitoring and alarms, fire alarms, building and energy management systems, telecommunications, data distribution. 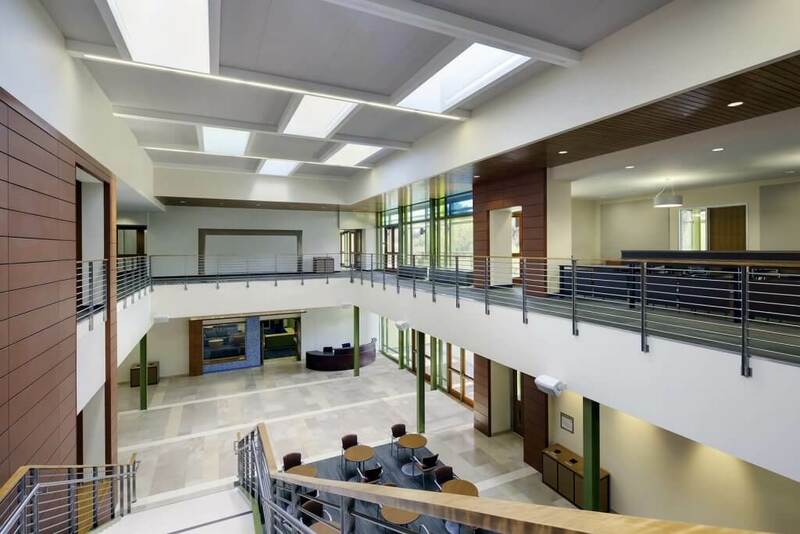 Flint elected to use the Building Information Modeling (BIM) for trade coordination, issue anticipation and resolution, and to meet contractor’s obligations to fulfill the coordinated shop drawing requirements.